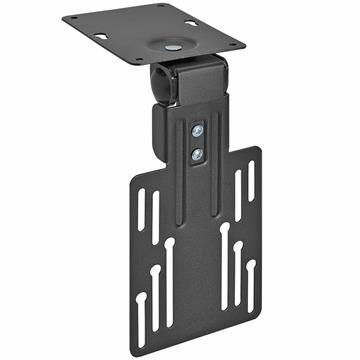 Use flat screen TV hangers to mount your television to your wall. 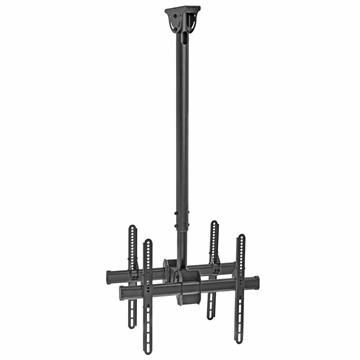 These TV wall hangers are able to work with televisions of any size. Compatible with TVs that are 17, 19, 21, 23, 25, 27, 32, 37, 42, 46, 48, 49, 50, 52, 58, 60, 63, 65, 75 inches. 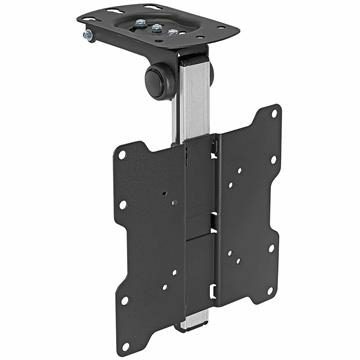 Select a model with a swiveling arm to control the position of your TV by up to 90 degrees in either direction. For many, that means being able to cook dinner while watching TV at the same time.